With almost 100 years in business, and an average of 3,000 fence installations each year, we have the experience to handle any job. We guarantee complete customer satisfaction and aim to establish business relationships unmatched by our competitors. 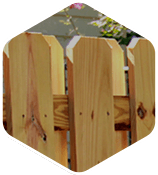 Four generations of the Allison family have transformed our company into a leader in the residential and commercial fence installation industry. 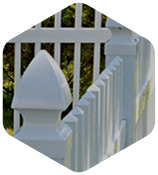 For almost a century, Allison Fence has provided homeowners throughout the Charlotte area with high quality fencing and installation services. 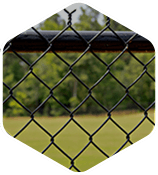 Allison Fence Company is a leader in commercial fence products and installation for businesses throughout Charlotte and surrounding areas. They've been in business since 1919 doing new installs and maintenance upkeep. they've been out to fix damaged fences in the past for me and does wonderful work. Replaced existing split-rail fence - approximately 310 feet, tore out old fence, trimmed bushes near fence, installed new 3-rail fence with mesh screen, and hauled away the old fence and shrub cuttings. Very happy with the outcome! Thank you for everything! Just wanted to pass along how I was very pleased with Kenny and his crew. He was extremely knowledgeable and customer friendly. I am going to highly recommend you, Kenny and your fence company to my friends and neighbors. Thank you. This was the only job that I have EVER done that went without a hitch. From the very beginning this company provided the utmost professional work. The fence was exactly what I wanted and looks absolutely beautiful. The men who installed the fence went out of their way to make sure that is was right. I really appreciated their hard work and have not regretted any part of this experience. I had Allison Fence install a wooden box type fence. I had an excellent experience with this company. 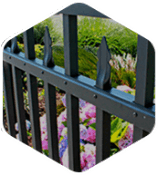 For years, Allison Fence Company has been the area’s most trusted name in providing cutting-edge fencing materials along with expert design and installation services. We have built lasting relationships with residential and commercial customers in communities throughout the Carolinas and the Charlotte metropolitan area with locations in Waxhaw, Harrisburg, Davidson, Concord, Cornelius and Tega Cay, South Carolina and more. Our success is due, in part, to our ability to continue to adapt as new materials and techniques emerge and the needs of our customer evolve. By staying on top of industry trends and employing only the best in highly trained and experienced installers, we have been able to continue to offer truly unmatched services. Don’t take our word for it; simply take a closer look at our gallery of residential and commercial projects and read through customer testimonials. Fences are just one part of what we do. Additional services include: access control gates, decorative gate installation, personalized signs and custom handrails. To learn more about how we can help, contact us or visit one of our convenient locations. 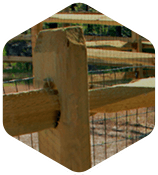 Allison Fence Company has locations in towns throughout the Piedmont, which allows us to offer the personalized feel of a local business with the resources of a national brand. Whether you need to improve security or privacy or upgrade an existing fence, make us your trusted source for all your fencing needs. Call or visit us today to schedule a consultation and get a custom quote.